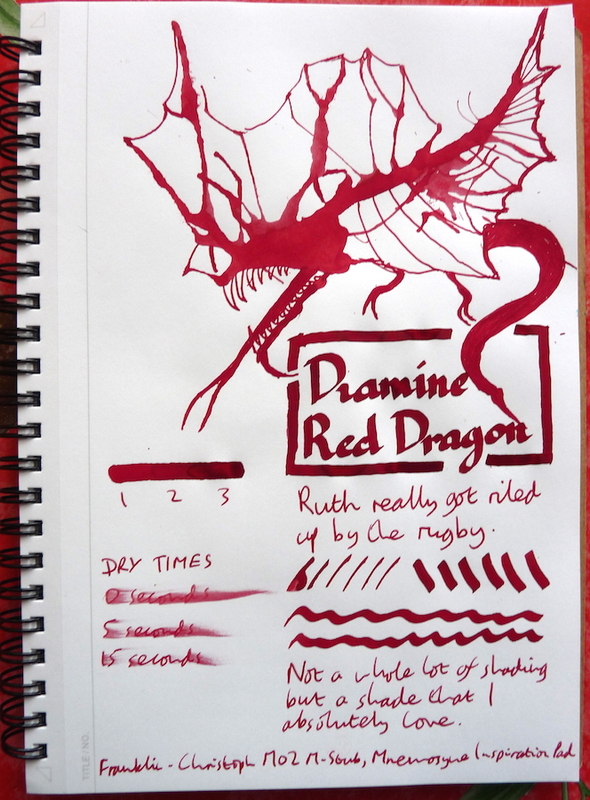 Diamine Red Dragon Ink Review – Pens! Paper! Pencils! Not so long ago I realised, shockingly, that I didn’t have very many red inks. I asked on Twitter for suggestions and the cleverest Fool With a Pen there is very kindly sent me a handful of samples. This is my favourite of the lot, a rich and sophisticated red that I absolutely love. Great name, too. Reminds me of my youth, playing Dungeons and Dragons. Once a geek, always a geek. 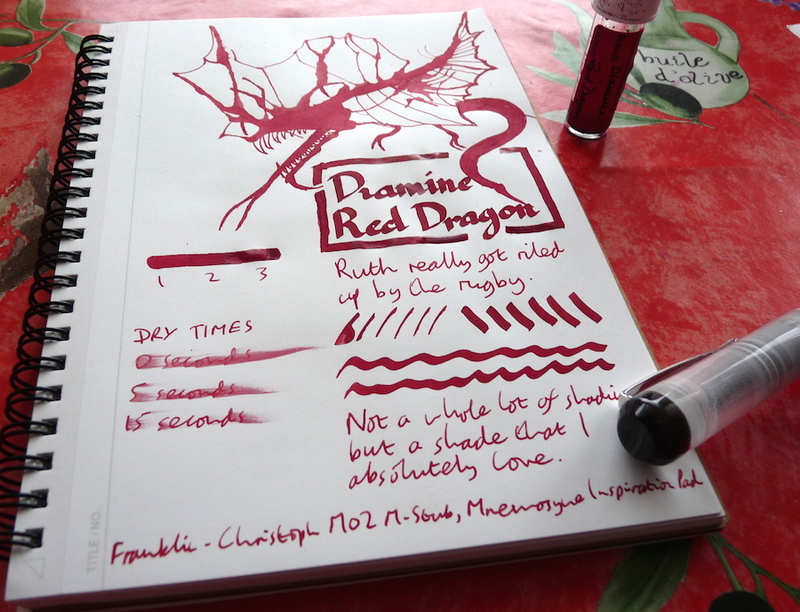 You can find some more reviews of Diamine Red Dragon on Pennaquod.